Folks, looks like ReadyTV are going national! ReadyTV has announced plans to broadcast nationally by June 2018! The first six (6) months of operation has exceeded the expectations of co-CEO of ReadyTV Christopher Dehring as he pointed out, quote: “Some of our outlets sold out for Christmas, leaving us struggling to keep up with the demand. As more and more people use it and more of them hear about it, then it generates that much more interest, especially since a lot of people don’t have an option”. Since then the sky’s been the limit for this Wireless HDTV Broadcaster, who’ve seen interest rise and fall with the seasons, to quote Christopher Dehring: “It started briskly then slowed down somewhat during the traditional tamarind season period, and it’s picked up again in November and December so November and December have been very hectic for us”. This is effectively 35% of Jamaica and they’re yet to put up a second tower!! 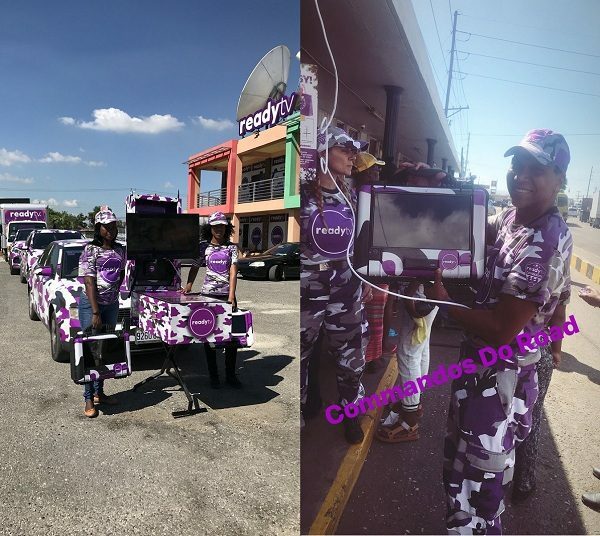 ReadyTV already has plans to cover the rest of St Catherine, especially Linstead, Bog Walk and Ewarton, by boosting the signal to cover this difficult terrains. This latest expansion will be financed by a US$3 million loan, which is in the works!!! If all goes according to plan, by June 2018, ReadyTV will be almost everywhere!! Still, their progress thus far has been with one antenna and no advertising via traditional media. So how did they achieve this miraculous feat? 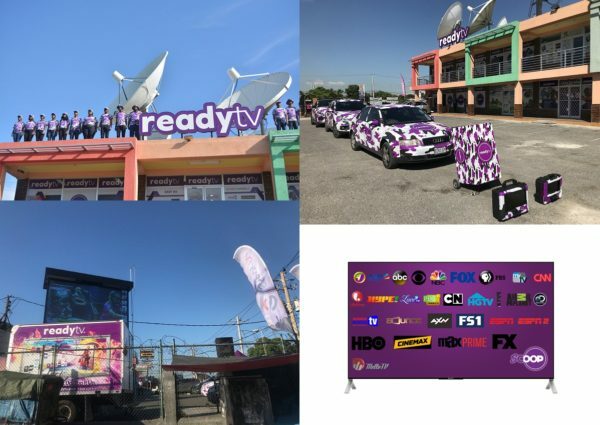 ReadyTV had moved to Portmore, St Catherine and had officially launched in March 2017 as pointed out in ReadyTV based in Portmore, launching March 2017 with GK MPay Support. Interestingly their first customer was from Portmore!!!! Subscriptions have been brisk since then, coming at a rate of 100 per day in November and December 2016. Their on-the-ground approach to marketing has worked wonders! They’re even been to McCooks Pen in St Catherine…. And they’ve also been in Tivoli Gardens…..nice visuals here!!! They also used a lot of brightly coloured billboards. The idea was clear; by targeting communities that already have a low cable TV penetration, their messages would be heard residents of these low-income areas. Traditional TV and Newspaper ads would not work, as most people in these communities watch their DVD’s, being as Television Jamaica is really only watch for news and a few programs and hardly anyone buys newspaper except to search for jobs. co-CEO of ReadyTV Christopher Dehring pointed this out while commenting on his marketing strategy, quote: “A lot of the people we serve, or are aiming to serve, don’t have a concept of what cable television is because they never thought they would be able to afford it. It’s all of these communities where the common working-class Jamaican lives, but has never had an affordable option. Here, they can’t afford a monthly recurring bill for cable because it’s a luxury”. 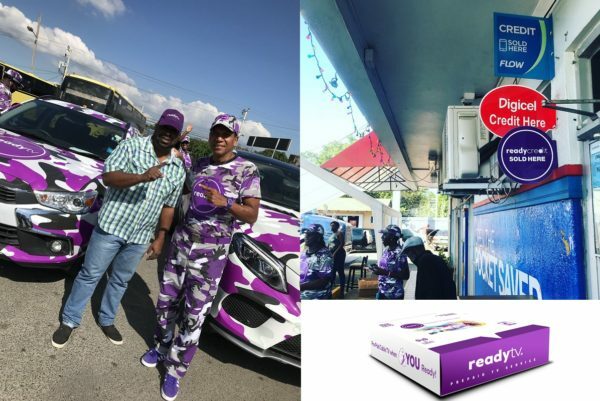 They purchase their packages using ReadyCredit Scratchcards/e-vouchers, which is denominated in a manner similar to Prepaid Phone Card used by Telecom Providers. They also have the support of local merchants as pointed out in ReadyTV garners support from Local Merchants to reach 800000 subscribers who help to sell their prepaid card use to log on to the service. They are among the many ReadyTV Sales Location listed on their Website!!! 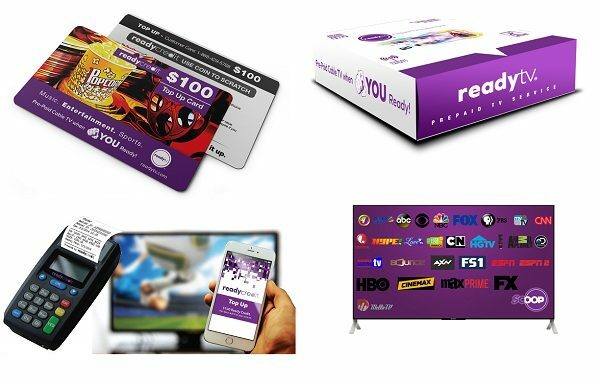 ReadyTV‘s aim is to serve those areas that FLOW TV and other cable companies are undeserving, and in the process kickstart DTT (Digital Terrestrial Television) in Jamaica as noted in ReadyTV launch challenges CVMTV, Television Jamaica to go DTT by 2018. They are off to as good start can easily reach and surpass their target of 800,000 subscribers! Folks, with Ready gong National, expect more news from the Geezam blog as we’ll be testing out their product and doing a video on their service!!! Portmore , St. Catherine, Jamaica.